Jayda also thanked Darren Espanto for defending her from bashers online. Jayda, who was nominated for New Artist of the Year at this year’s MYX Music Awards, shared her excitement for what’s to come, especially now that her music is getting recognized less than a year since she released her debut EP In My Room. “It’s very exciting. And it’s pretty mind-blowing to be recognized for my work,” she said, sharing how she felt about her first-ever MMA nomination. Following the success of her song “Happy For You” which served as the official theme of Karina Bautista and Aljon Mendoza’s tandem inside the Pinoy Big Brother house, the 15-year-old singer also has another exciting project fans can look forward to in the coming weeks—a collaboration with an Indonesian artist. “This 2019. I’m actually going to be releasing a collaboration with an Indonesian artist within the next few weeks. So abangan niyo na lang po ‘yun. I’m actually flying to Indonesia. And I want to thank obviously PBB for using my song. And sa mga fans na sumusuporta sa ‘Happy For You,’” the young singer said. 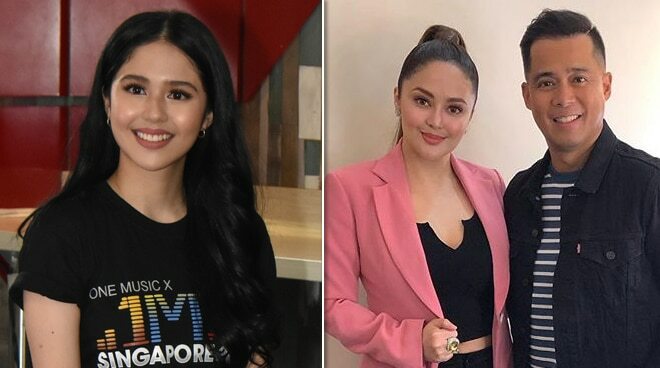 Jayda, who recently found herself the target of an online bashing spree, opened up about what she felt after Darren Espanto defended her. “I’m super appreciative to have a friend like Darren. I’m just appreciative of all the love and support from the people around me,” she revealed. Amid all the bashing she encountered online, Jayda said her parents have been giving her the emotional support she needs to get through it all. “I think just being there for me, just giving me all the words of encouragement, and just reminding me of my passion and why I entered the industry,” she stated.